Brands were at the mercy of retail buyers, leading to bidding wars between those that favored big brands with the budget and scale to slash prices, instead of the brand with the best product. But in today’s multi-channel world, the power has shifted and consumers are setting trends rather than just following them. Because of this, business models must adapt to meet the needs of shoppers. In other words, consumer influence is dictating which brands rise to the top, rather than retail buyers dictating which brands are on the forefront. 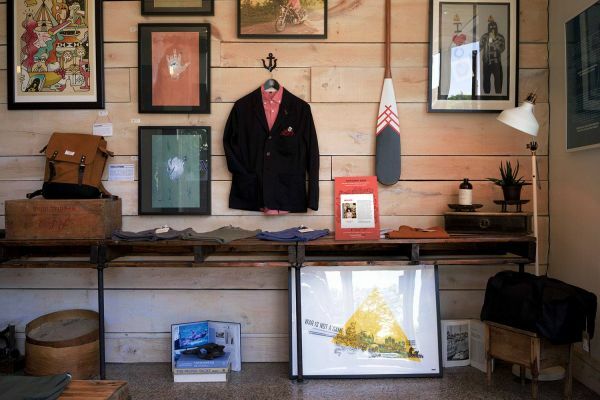 Many independent brands and retailers are thriving in this new shift by remaining nimble and closely connected to consumers’ needs. Retailers who want to continue to succeed have a lot to learn from these product companies. To keep up with this changing world, retailers need to adapt, focusing more than ever before on pleasing their customer. Below are three lessons that the world’s most successful retailers are learning from the craft brand revolution. If you could only do business from one location, or from one catalogue, how would you maximize your profits? By making that one location or catalogue as appealing people as possible. This is the exact situation brick and mortar retailers found themselves in prior to the digital revolution. Back then, convenient customer experience was about putting everything your customers could possibly want in one location. The pain points from that time — like limited brands, marked up prices, oversized stores — didn’t come from retailers’ apathy towards the customer experience. Rather, they came from the limitations retailers had to contend with. Today, the multi-channel marketplace has removed these limitations. Craft brands have succeeded by using changes in technology to listen to customer needs and purchasing behavior, creating customer experiences that do more than just alleviate pain points. They create incredible customer experiences. Remember Dollar Shave Club? They’re a perfect example of how craft brands’ focus on the customer has led to success. Before Dollar Shave Club, buying razor blades was inconvenient. They were insanely expensive and kept behind unbreakable plexiglass, which meant you had to find a clerk with keys and have them get the blades for you. Dollar Shave Club had a different idea: Razors that come to you. By being deeply in tune with their customers’ needs, Dollar Shave Club was able to offer the right product, at the right time, with the right buying experience — and that changed everything. By creating an enjoyable, convenient experience for customers, Dollar Shave Club went from an upstart craft brand to the second leading razor cartridge provider in 4 short years, and was acquired by Unilever for $1BN shortly thereafter. Retailers who excel in today’s marketplace must realize the importance of great customer experience, and think outside-the-box (like Dollar Shave Club did) to figure out how to provide it. Customers today are increasingly discerning about where they spend their money. Simply having the desired product on hand at a decent price is no longer enough to win new business. The brands that are winning today’s customers do something different: they offer a compelling story. They make consumers proud to be the kind of person who uses their product. Retailers can no longer afford to rest on their laurels as large corporations that feel cold and distant. They need to connect with customers and form a real relationship. World of Angus, an independent brand that makes apparel, toys, and other lifestyle products for dogs, is a perfect example of a company that has found success by connecting with consumers. Human (Sort of) Communication: All World of Angus communication has a fun element. All of their images are of adorable dogs doing human things (wearing clothes, styling their hair, etc.) Buyers walk away from every interaction with a smile. From their goofy emails to their focus on two-way social media conversations, they are a brand with a personality, not a faceless corporation. Exceptional Customer Service: World of Angus answers every customer support email quickly, and does everything they can to solve their customers’ problems. They feel like an ally in solving your problems, not an opponent. They don’t even take returns. They generally just ask you to donate the goods to a shelter. Compelling Brand Story: Angus isn’t just a brand name, Angus is an actual dog, and everything World of Angus sells is ostensibly something Angus loves. It’s heartbreakingly cute, and it makes you feel like you’re a part of something when you make a purchase. By cultivating a buying experience that customers actually enjoy, World of Angus instills a deep loyalty in their customers. They actually look forward to buying from World of Angus again. By listening to customer needs and observing buying behavior, retailers can engage customers through various channels to give them that same powerful, human connection that craft brands have used so well. Traditionally, companies competed on price. But in today’s world, price is no longer the sole or even most important factor in purchase decisions. Modern consumers connect with the story behind a product’s creation. What materials and processes were used to make the product, and what it stands for. Consumers want a narrative they can belong to. Zeitgeist Gifts, an online gift store, is a perfect example of a company that understands this customer expectation and has built a vibrant business around it. At first glance, Zeitgeist just sells things you’d give as presents. Look closer though, and you’ll see a craft brand dedicated to something much larger than that. They focus on “making the world more playful” by offering occasion-specific gifts that embody a playful, contemporary feeling. They don’t carry rigidly efficient products, they carry gifts that tell a story. Zeitgeist doesn’t offer the vast inventory of a company like Amazon. Its process is deliberate and thoughtful, and consumers know that everything they receive is of the highest quality. Retailers can create this connection focusing on the quality of their products in terms of their story, and thoughtfully curate products to become a trusted place where consumers know that they will receive only the best. Retailers might look at the strengths of brands like Dollar Shave Club, World of Angus, and Zeitgeist Gifts, and think it’s impossible to duplicate their success because of their differing business models. However, even without the same business model, a brick and mortar retailer can succeed using those same core values of prioritizing the customer experience, connecting across all channels, and curating high-quality, relevant goods. In an omnichannel marketplace, retailers now have the opportunity to learn more about their customers, engage them in ways previously impossible, and create impeccable buying experiences that make a customer feel loyal. By implementing these principles, which are the driving forces behind the success of independent brands, retailers will be able to better speak to the desires of their customers and succeed in this new world.